I did not know much about genetics, except my data here and there about biotechnology startups. 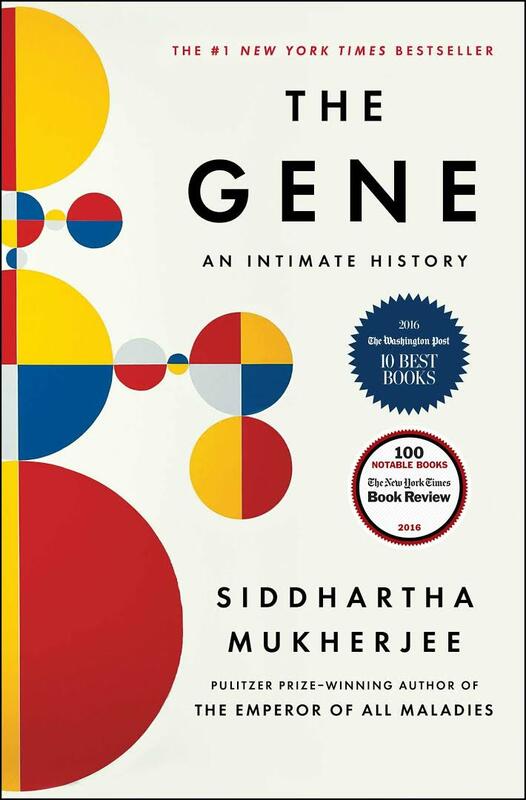 But thanks to his book The Gene, Siddhartha Mukherjee makes me feel I know much more. His brilliant storytelling is like a symphony, describing the early days of genetics, with Darwin and Mendel and the latest developments of this fascinating science. There are brilliant quotes like the two above, respectively page 202 and 221. And there are marvelous portraits. “Do not be lulled by that description. Do not, gentle reader, be tempted to think – “My goodness, what a complicated recipe!” – and then rest assured that someone will not learn to understand or hack or manipulate that recipe in some deliberate manner. “When scientists underestimate complexity, they fall prey to the perils of unintended consequences. The parables of such scientific overreach are well-known: foreign animals, introduced to control pests, become pests in their own right; the raising of smokestacks, meant to alleviate urban pollution, releases particulate effluents higher in the air and exacerbates pollution; stimulating blood formation, meant to prevent heart attacks, thickens the blood and results in an increased risk of blood clots to the heart. “Technology, I said before, is most powerful when it enables transitions – between linear and circular motion (the wheel), or between real and virtual space (the Internet). Science, in contrast, is most powerful when it elucidates rules of organization – laws – that act as lenses through which to view and organize the world. Technologies seek to liberate us from the constraints of our current realities through those transitions. Science defines those constraints, drawing the outer limits of the boundaries of possibility. Our greatest technological innovations thus carry names that claim our prowess over the world: the engine (from ingenium, or “ingenuity”) or the computer (from computare, or “reckoning together”). Our deepest scientific laws, in contrast, are often named after the limits of human knowledge: uncertainty, relativity, incompleteness, impossibility. This entry was posted in Must watch or read and tagged Biotech, Science on May 23, 2018 by Hervé Lebret.